Dogs Bite Decatur Al: COLUMBIA, RICHLAND COUNTY SC - A 3-YEAR-OLD BOY WAS MAULED BY A DOG THAT "SOMEHOW" GOT OUT OF THE GATE AT A RELATIVE'S HOME ...HEAD INJURIES, EAR TORN OFF, PUNCTURE WOUNDS, BLOOD LOSS!!! COLUMBIA, RICHLAND COUNTY SC - A 3-YEAR-OLD BOY WAS MAULED BY A DOG THAT "SOMEHOW" GOT OUT OF THE GATE AT A RELATIVE'S HOME ...HEAD INJURIES, EAR TORN OFF, PUNCTURE WOUNDS, BLOOD LOSS!!! (WACH) – A 3-year-old boy is recovering in the hospital after being attacked by a dog. Ayaan Barco was at a relative’s home when a dog broke out of a gate and started attacking him. "I haven't been able to sit down yet and take a breather," says the boy's mother, April Pou. The toddler now has severe injuries to his head and his ear was torn off. He also has several puncture wounds and blood loss. "You don't expect stuff like this. So I'm just trying to stay positive for him and for myself. I want him to feel a loving vibe from me so he's knows I'm here for him," Pou told WACH FOX News on Thursday. 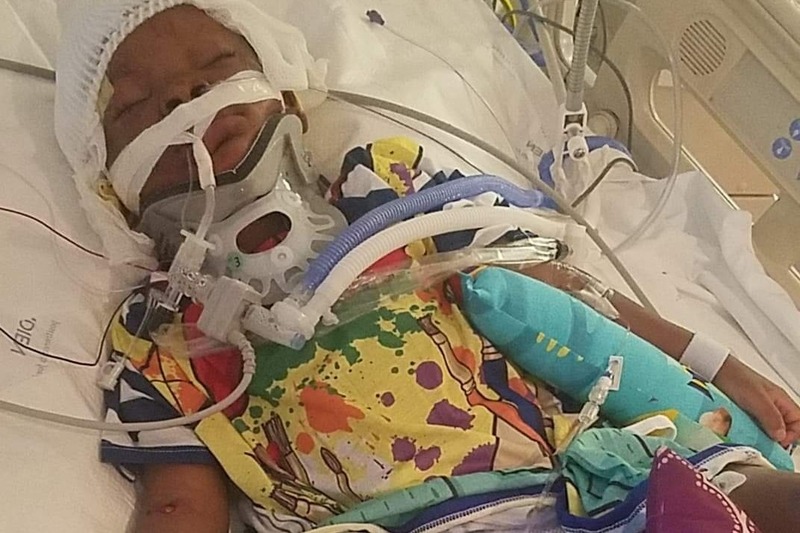 Ayaan is in the Pediatric Intensive Care unit at Palmetto Health Children’s Hospital where doctors say he will need several surgeries and therapy. "It's going to be a road ahead and I'm just trying to prepare for it, eventually," says Pou. Pou, said she was in Atlanta when the attacked happened and found out about it when a Richland County Sheriff’s Deputy called her. Pou said the dog didn’t have a history of violence and the incident came as a shock. The Richland County Sheriff’s Department also says no criminal charges will be filed. A GoFundMe page has also been created for Ayaan.